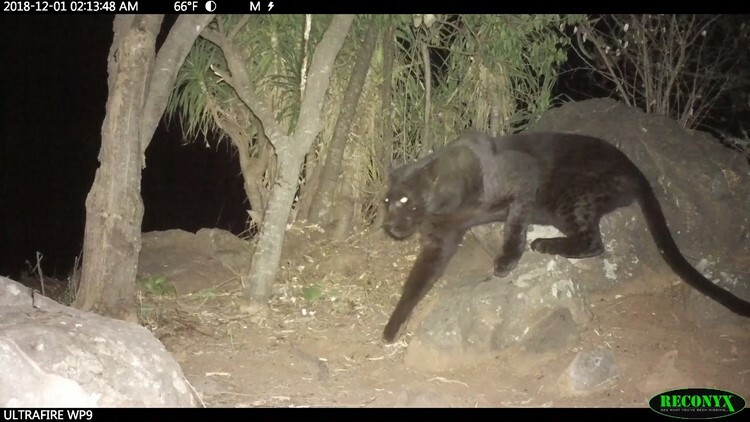 A black leopard is seen in footage captured in Kenya in 2018 and shared by the San Diego Zoo on Feb. 11, 2019. 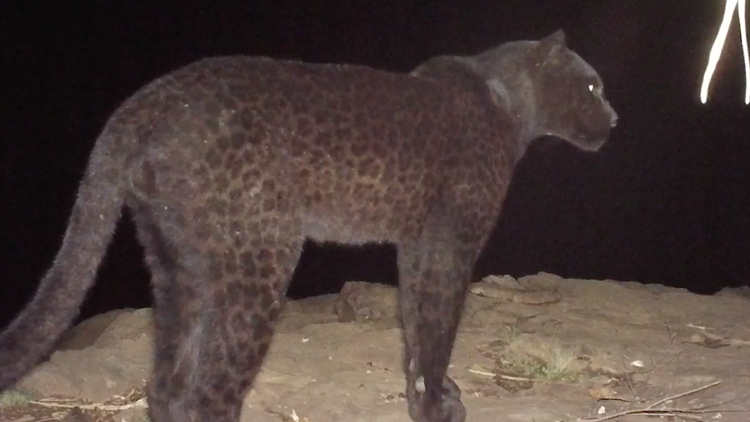 A black leopard is seen in 2018 in footage shared by the San Diego Zoo on Feb. 11, 2019. “It’s exciting to see black leopards on our cameras – and more research into their melanism is needed, so we can understand why they occur here,” said Ambrose Letoluai, a research assistant for the leopard conservation program, in a statement. African leopards are considered “vulnerable,” not endangered but close, on the International Union for Conservation of Nature’s red list of threatened species.